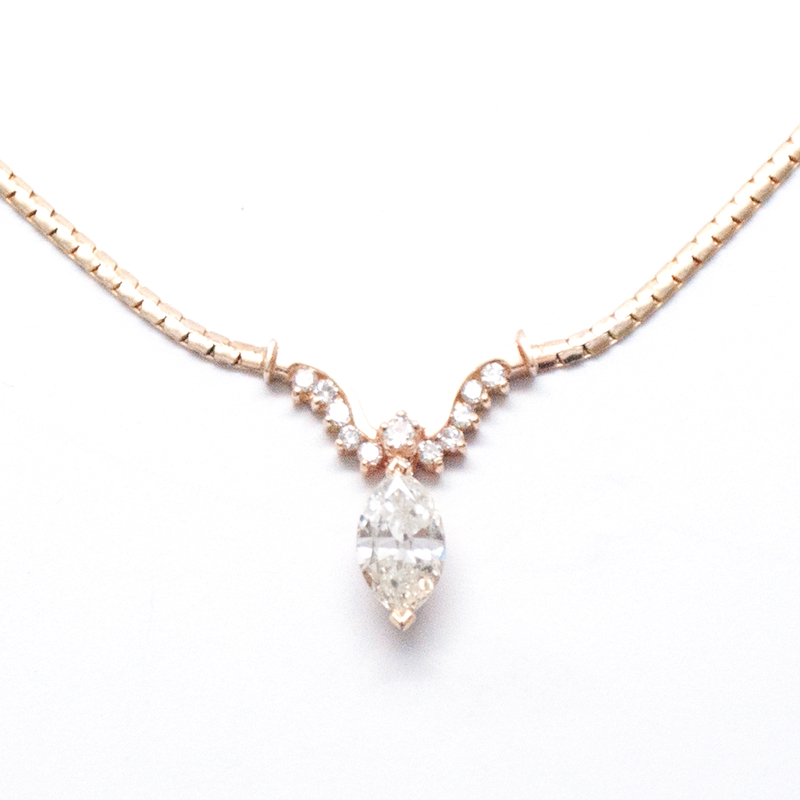 One 14K yellow gold lady's diamond necklace with a bright polish finish. this necklace measures 21 inches long. It is compromised of a 1.9mm half domed omega chain with a stationery center piece. This piece is "V" shaped and lined with ten, round brilliant cut diamonds. 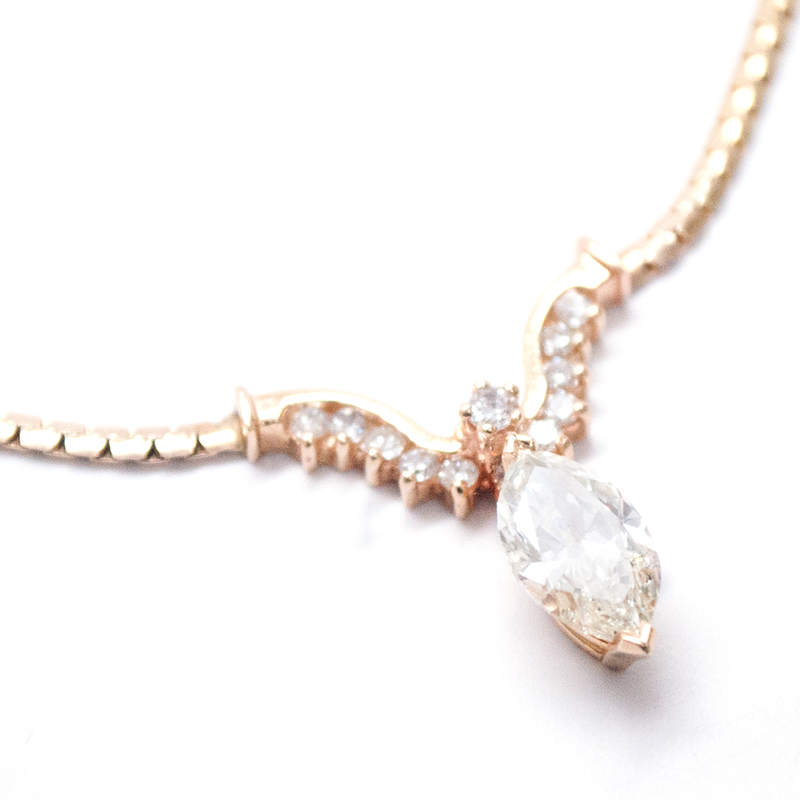 It highlights a marquise shaped diamond topped with a single, round brilliant cut diamond. The necklace fastens with a slip in clasp with a figure eight safety catch.